It’s now 9 years since we recorded ‘Black Ravens Cry’ and it’s still one of our most popular songs – if not THE most popular song. I actually remember when I wrote it, 10 years ago on September 6, 2005. Seemingly a quite odd thing to remember, but that date also being my birthday helps. I also recall how it almost didn’t end up on the album. At the time I was under the impression that the chorus was too poppy for Evil Masquerade, so I just filed it in the archives together with a million other songs. When the day had come to showcase my demos for the upcoming ‘Third Act’ album for the other guys in the band I ended the session with playing a couple of additional tracks that weren’t included on the tracklist. When they heard the demo for ‘Black Ravens Cry’ I was instantly voted down. 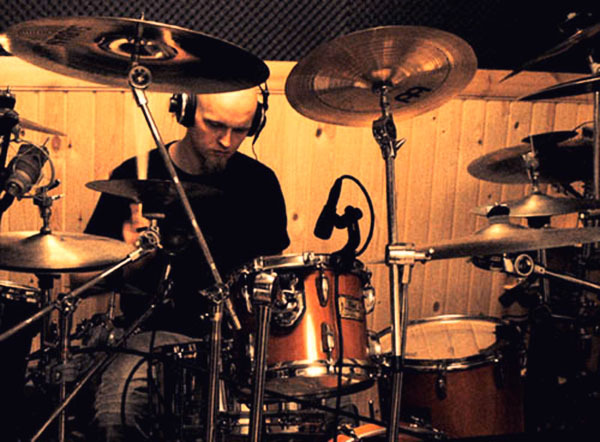 Dennis in the studio recording the ‘Third Act’ album. 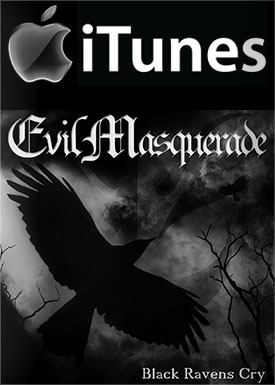 This was the first song Apollo recorded with Evil Masquerade. I remember picking him up at the train station in Copenhagen. 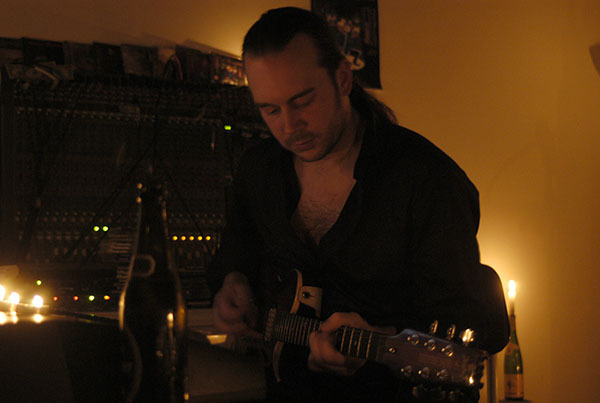 We went for a pizza and a few beers at an Italian restaurant next door to my studio – and shortly after we recorded the vocals for ‘Black Ravens Cry’. 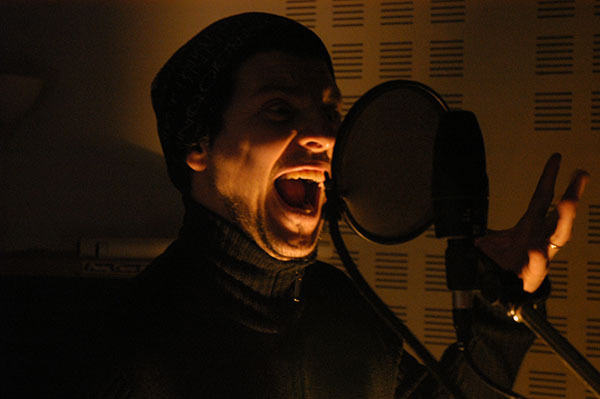 Apollo recording ‘Black Ravens Cry’. Another milestone for the band was that this song was filmed as our first music video ever. I won’t go more into details about that right now because of a small documentary being produced for the anniversary next year. It definitely has potentials to be entertaining for our closest followers. The ‘Black Ravens Cry’ video. Throughout the years many people have told me that this was the song that made them discover Evil Masquerade. So today I am of course thankful that the other guys caught it from slipping through the fingers. Just for curiosity. What is your opinion about ‘Black Ravens Cry’?